Assam’s BJP leader and Assam Tourism Development Corporation (ATDC) chairman Jayanta Malla Baruah on Thursday said that Hindu Bengalis are not threat to the identity of Assamese community but the Bangladesh origin Muslims are. 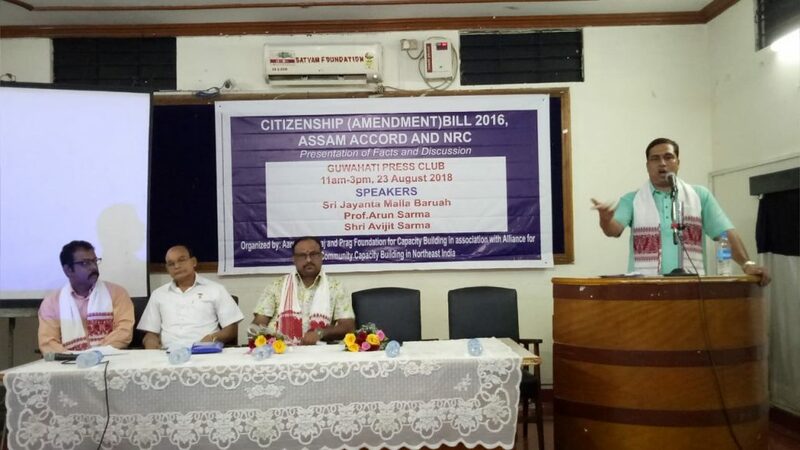 Baruah said this while speaking at a presentation on Citizenship (Amendment) Bill, 2016 in a programme in Guwahati. “Around 90 per cent people in Assam haven’t studied or tried to understand the facts and the Bill. People have been protesting against the Bill without any cognizance. A section of people have been misleading the people of the State by making mischievous statements on the Bill. Agitations have hampered the economic growth of the State,” Baruah said. Being critical over the Assam agitation, Baruah said the Assam agitation pulled back the State for 20 years. “We haven’t achieved anything from the Assam agitation. One, who understands the Bill, probably wouldn’t oppose it. The Bill would not hamper the demography of the State as spread by a section of people,” said Baruah. It may be mentioned that most of the political parties and organisations representing various ethnic groups have raised voice against the Central Government’s move to grant Indian citizenship by implementing the Citizenship (Amendment) Bill, 2016.